Just a little patience….and grace…..and joy. It’s so fun to see the joy on their faces when they learn something new. Micah knew he was ready to do it this time. Any other time that the training wheels even wobbled a smidge, he would get upset and unwilling to ride his bike. But the other day, it was Ryan’s new bike and it just seemed so attractive to Micah. And there were no training wheels on it so it was the perfect opportunity to try. And he did it – around and around the church parking lot he went, testing out his speed, figuring out how to slow down to make the turns, learning to put his feet down to stop. He was in heaven. I hope he soon learns to use the brakes rather than the tops of his shoes to slow down the tires! As there was a wrench handy and sheer joy in Micah’s new accomplishments, Noah brought his little bike over and demanded that his training wheels take a hike too. I knew Noah had the balance for it so a few hard twists of rusted bolts, and he was ready to try. His bike is a little big for him so he needed some steadying of it until he got peddling and then kaboom! He was gone. I ran alongside him wondering if I really intended to be helpful in any way should he start falling. Probably not. I shouldn’t have worried – he never even wobbled – and after a few seconds, he said “Next I’ll ride with one hand!” Tiny little 4-year-old whizzing around on a tiny little bike. With grit and determination and a whole TON of tears, he finally taught himself to start peddling on his own without me holding the bike. It was a mix of his desire and my “planned ignorance” to encourage him to learn. Such a fun evening for both of them (and they were wiped-out asleep by 7:30!). However, I was not interested in taking them back to the parking lot at 7:10 the next morning and so promised we’d take the bikes to the park after church. Given a little bit of inappropriate running in church (“Geesh, M and N! I JUST told you as we drove in to the parking lot to NOT run in church!! ), the bikes were required to spend 10 minutes in the car contemplating their misbehavior before they could get out and cruise around the pond. Soon, though, the two boys were learning such things as how to avoid casual pedestrians and zippy little toddlers, how to keep their eyes looking forward, and to keep the two bikes away from each other to minimize scrapes and falls. These are lessons that will need to be learned in a very repetitive fashion I can tell. While the bike excitement lapped the pond, I chased little Seth. As we passed a few people, an older guy caught my eye after he clearly noted the older boys. “Yes,” I said in one of those I’m-the-proud-mother tone of voice, “they just learned to ride two wheels yesterday.” My smile smoldered when he cut “oh, they’re yours, eh?” I walked on wondering how a total stranger can dash parental joy and wondering what issue he had with the boys (though a few minutes later I noticed him beckon them to slow down and I realized he was probably trying to protect his dainty toddling granddaughter from the vicious bike gang). It’s amazing how every life is a little thread that goes and goes, intersecting with other people’s threads and getting bumped or jiggled…or totally derailed as a result. My boys’ threads were in the joy of a new skill and the freedom of bikes without training-wheel drag. I rejoiced in their new ability….and “the” stranger’s thread bumped into ours with dismay….but, he does not know their joy. And he does not know that they are still learning. That one day soon they will realize their responsibility as a bike rider to not clip the back of someone’s heel. They will know to keep it slow around other people and kids. They will learn to slow down to make a sharp turn. But yesterday, their thread was so early on in their learning process – they were still working on slight shifts in balance. As I think about this, I wonder about the times when my life thread bumps into other people and I grump at them or snap impatiently. I knowingly at times or unsuspectingly other times cause a shift in their life. It’s a good reminder to give a little grace as I don’t know where the other is coming from, how far along they are in their thread and what direction they’re actually going in. The word of the month for Micah’s karate class is “patience.” I think I need to work on it a little bit more sometimes. Okay….the truth….I know I need to work on it more! So, today I “patiently” lifted bikes in and out of the back of my car (I hate how the wheels turn and pinch your fingers, the grease marks up your hands, and the trunk of the van beeps its refusal to close when it thinks something’s in its way!). And I patiently watched them ride around for another hour. And I patiently put the bikes back in the garage. I can’t wait until we get to the beach next week so the boys can walk out of the house, hit the boardwalk, and ride and ride…. (and for the sake of innocent pedestrians, I hope they soon learn to dodge people!). Sometimes I wonder if the boys know how much is packed into those 3 little words. If they know that the “I” is me, a woman who has given up so much of what I used to know and do in order to become someone so completely new and different that sometimes I don’t even recognize myself. Do they know that responding to the word “Mommy” is second nature now, but at one point I actually struggled with having a new name….and a new identity. That I could tell them everything they ate today and the last time they brushed their teeth, but wouldn’t be able to answer many questions about myself. Do they know that the “love” is so complete and so total – that when I say “forever, for always and no matter what” every night as I tuck them in bed…. that I actually mean that? And it doesn’t mean that I’m happy all the time or that I am at all pleased with them in those moments when they pee on the floor because they don’t want to clean up the toys….and yet I still love them. Sometimes Noah knows it – for when I was “displeased” with his behaviors at bedtime tonight and kept a frown on, he finally asked “are you ready to smile yet?” He knows the love is there….right there. Can they understand that the “you” refers to the entire beautiful, delightful, energetic and winsome little boy that they are? That they are each unique and fantastic. That it is not based on anything except the fact that they are my Micah, Noah and Seth and that I love them. So when I look into Micah’s eyes and whisper “I love you,” I hold within me so much — he can’t even imagine the depth of the phrase. He doesn’t know that in the same moment, my brain is also saying “wow – this is hard.” That I’m wondering whether I’m doing the right thing. Even in the small things – do I have him in the right sports at this time? Is he getting out of it what he needs to? How can I get him to stop fiddling with the mouth piece the entire time he’s on the field and maybe look up for a minute and see if he should be catching a ball. And in the big things when I worry about what school they will go to? When I wonder if I’m balancing work and mothering at the right level? When I silently thank God that my children are so healthy as I walk through the hospital hallway ? Yesterday was the party for Micah’s 7th birthday. A friend who has four boys all around the same age and I sat on the side of the sandbox and talked for a bit in between dodging flying scoops of sand and settling property-rights disputes. She said “sometimes I wonder if I had to do it all over again, would I?” I know those words and those thoughts. 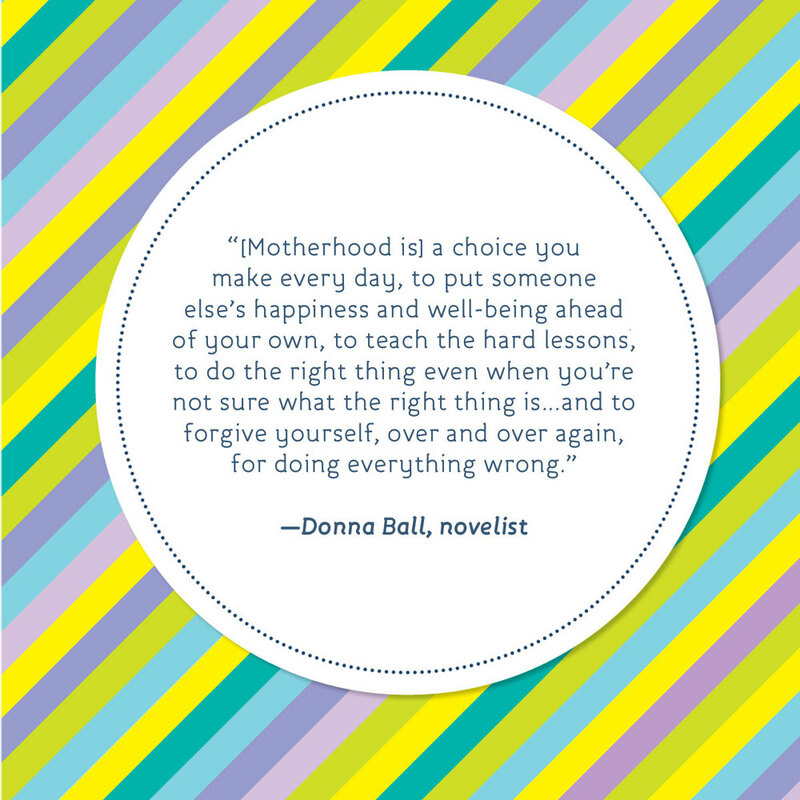 I know that mothering is my greatest challenge. I know the struggle of trying to do what’s right for the boys and yet not knowing really what that is. I know the weariness. I have also started to remind myself – shortly around the time that I’m reminding myself to be jello – that it should get better in another couple years – once they can all use words instead of intonation to get their points across, are able to handle personal hygiene without my assistance physically or in repetitive verbal prompts, and when 5 minutes of quiet within the house does not herald a serious sense of foreboding and impending doom. Yes, I know the weariness. Sometimes in my work in setting up a crisis nursery as a break for stressed families, I use an analogy that I recently heard – families in stressful situations are trying to get a sip of water out of a gushing fire hydrant. They want a simple drink, but life is coming at them so fast and so hard that there’s no chance of stabilizing, making a good decision, or reflecting on how to make the right changes and do the right thing. Then I look up and see the fire hydrant right in front of me. The pastor this morning asked us to think about that “moment” when you felt a mother’s love for your child. She started by describing the pregnancy and the feel of the baby within and the developing love as you bonded with this new creation. And then those first few moments after birth….and the first days and weeks when your love grew. The process is so very different when you are part of a system – the foster care system. I was “in love” with Micah from the moment I first saw him in the hospital bassinet….barely listening to the social worker tell my sister and I about him. Yearning to pick him up as she briefly left to find a set of mismatched clothes to put on him. Staring at him in the back seat of the car….well, staring at the back of the carseat facing the other direction. Giddy about getting him home and holding him. In awe during the first few middle of the night feedings. I was in love. But it was not a “mother’s love” – I was not his mother. There was a qualifier in front of the word. “Foster.” It was always there – “I am a foster mother.” This is my “foster” child. We have “foster” children. 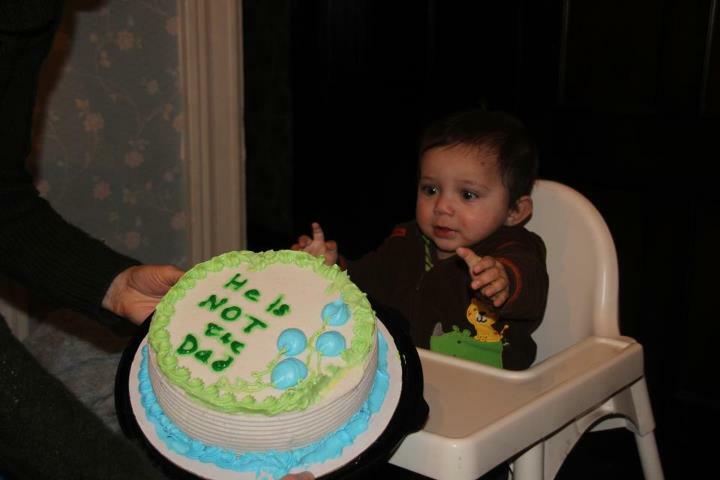 It was not until Micah was 22 months old that I could jump over the “foster” word and leave it out altogether. Not until that moment in the court room with tears welling up in my eyes and my heart so full of love that I could fully claim to be a mother….that I could claim him as my son. So that love was a journey….a push and pull….an embracing of the little boy and a slight holding back in fear and worry that it might not work out….that he might return to his biological mother. Yet I had a sense with him that it was almost 100% okay to love him. Similarly, it seemed so certain with Noah. He was two days shy of his first birthday when I was told that I was his mother, though the love had blossomed long before then. Two days after picking him up from the hospital, we went on vacation to the beach. I spent the week bonding with him – shocked and nervous about another boy. Trying to convince myself that this would and could work out. By the end of the week I was ready to be mother to another. And….a letter sat in our mailbox waiting for us to come home. A letter from a man in prison professing his love for his newborn son. Happy that he had a home to stay in until his father would be free to come get him. Struck down, I cried. For months I received at least weekly letters and drawings from the alleged father. For months I tried to offer Seth a mother’s love while trying to protect my heart from the pain that was coming. For months I tried to talk to Micah about this “father” who would take Seth someday. Months and months (8 months and 6 days to be exact)….until the paternity testing. We celebrated with a cake and my heart began to take away a brick or two, a shingle, a siding…open up some space…and let the mother love take hold. To love is a very precious thing. To become a mother is a very difficult journey. Moments when you realize they are the air that you breathe, the last thought before you sleep, the face you delight in in the morning. Cherished, loved, (entirely frustrating and maddening at times) and so delightfully mine. My three sons…(minus the “foster”). I think of that phrase often in my own parenting. My job is to help my boys become “independent” – not needing me anymore ….able to live on their own, cook for themselves, clean, work, love, create, inspire, dream….all on their own. Some days I wonder when they’ll ever be independent! I’d be happy for toilet trained! After all, I have another 16 years before the last one is “technically” independent. Other days, I can’t even imagine them not needing me anymore or what it will be like when I don’t know exactly when they last ate, how much they slept, and whether or not they pooped yet today! Part of this independence “training,” naturally, is giving them the chance to practice. So, two nights ago when we attended a pasta dinner for a friend’s charity, I gave Micah some “space” to play with the older boys. They ran around the building, ducked in and out of the main eating room, and found their own fun. I thought to myself how wonderful this was….and how nice not to worry about him too much as chasing little Seth (who has absolutely no issue with claiming his own independence at the tender young age of just TWO!) was taking up 97.5% of my attention span, with Noah’s occasional whine requiring the other 2.4%. When I gathered Micah about an hour into the program to head home for bed, I learned that I probably should have given him more than his allotted 0.1% for the evening. Apparently he had been asked three times by a friendly adult (and friend) to stop throwing rocks from the second floor onto the main entrance concrete stairs. Ugh. So, I decided that he would be “grounded” the next day from going to fun places like the Children’s Museum with my sister and her boys….and instead must stay home. Halfway through the morning, as we were deep in the middle of a hockey game in our tiny back yard, he said, “This is really a lot of fun to be home today.” I’m thinking the concept of “being grounded” didn’t really sink in, but maybe what he really needed was to spend some time together. And it was good to give him a test run…and to reset my expectations for just how much independence this boy is ready for. Zero. We’ll try again some other day…. ….when rocks are nowhere to be found! (ps, we had no problem with getting lost or wandering off this time though – that was the lecture on the way to the event – “You MUST check with me first before leaving my eyesight!”). I try not to be a Helicopter Parent…. ….but I probably should hover just a little closer sometimes. The fact that I only temporarily “misplaced” three out of five household boys during a recent event seems pretty good (unless you calculate the percentage and then 60% loss is…well… kind of high). In my own defense, I’m going to argue for the “it takes a village” philosophy and I had an over-reliance on the village….perhaps without informing them too clearly that they were the village. It’s those crazy situations where you are so thankful that everything worked out, but looking back, it probably would have been nice if it didn’t seem like every 30 minutes one of the organizers of the race was searching for one of her kids! You see, it was race day. 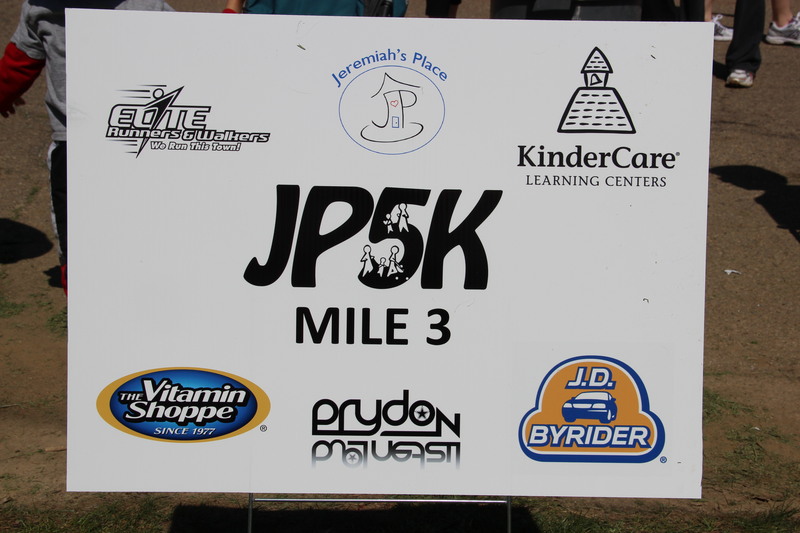 The first 5K run/walk we had organized for the non-profit I’m working to create. I was there early for set-up and my head was spinning all morning trying to keep details and people organized. I was not prepared for my “work role” as well as the role of attending a function as a mother of three kids. So before I knew it, the gun was going off and both 6-year-olds of the house wanted to “run” with me for the 5K. This meant that Ryan wanted to RUN and Micah wanted to sprint….walk…. sprint….stop…..sprint….. stroll…. sprint. Meanwhile, Ryan was “gone.” And though I was informed that he had made the turn-around at the 5K water station, my sister’s face when she said she hadn’t seen him cross the finish yet made me a bit concerned when we sprinted-walked-strolled back. So I sent a villager off to find him only to realize that my Godson had already discovered the young nephew – who had run almost all of 5 miles! Nice job, Ryan. Next time can you do it without panicking everyone??!? I returned to meeting and greeting people and shortly afterwards found myself searching for the curly headed boy in a red and grey shirt. No, not at the Family Fun activity booths. No, not at the playground. By the time I had 5 or 6 villagers looking for him, he was discovered by my mom in the bathroom by the playground. Don’t anyone panic! After this second one, I decided I needed a better hover strategy. We reviewed the “you must check with me first” policy as well as “blue shirts are safe” new rule (since the race volunteers wore blue). I kept my eyes on the boys much more closely, though it was also easier as a friend had decided that Seth was adorable and she would just follow him wherever he walked. My mom took over supervision of Noah’s mud pie factory and I had the “easy” job of making sure Micah was scampering around under the watchful eye of other friends and their kids. It’s not always easy in a crowd, however, and soon I was at the point of wondering why I didn’t see him with the group of friends I thought he was with. Knowing they had all been down by the lake, I looked behind the boat house and just froze. 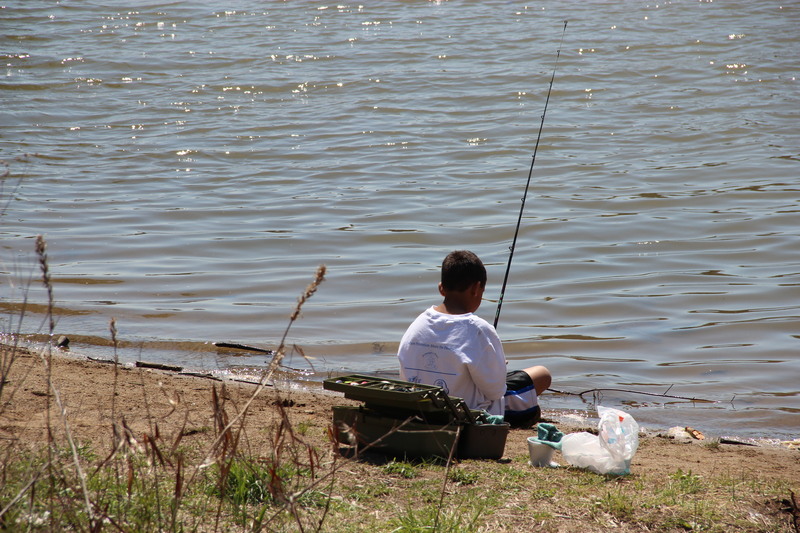 There was the most picturesque scene of a little brown boy in a white t-shirt sitting next to a tackle box with a fishing rod in hand….perfectly still. The water lapped near his feet. The wind rustled in the trees. And the stranger beside him cast out his line. Now I wrestled with all the analytical thinking. I had just spent two days at a “child maltreatment” conference and though we know statistically that strangers are far less dangerous than people the children know….I didn’t know this fisherman at all. And as peaceful as the scene was, how could I trust that it would remain so? And yet, Micah clearly was in his own little heaven. He had just asked me last week for a fishing rod for his birthday since a classmate had brought one in for show-and-tell. So….I hovered. I walked down and “checked in” – thanked the man for teaching Micah to fish, chatted with Micah for a bit….and then retreated to the top of the hill to watch from there. I knew that Micah needed a bit of space. As hard as it was for me to juggle “work” and “mommy-ing” at this event….it had been hard for Micah to deal with all the crowds, with the disappointment of not winning a medal (as Ryan had for his 5 miles of running), and with a mother who was clearly distracted. Watching the bobbin bounce along in the water, scooping a worm out of the bucket of dirt, anticipating the possibility of a catch….this is what Micah needed. I could hover as much as I needed to feel a tad more comfortable….but I also needed to give him a little room to engage the world….to connect with a stranger….to learn a new skill. The smile on his face when I walked down to him and he turned and said “Mommy, this man is learning me to fish” was just priceless. Sometimes we work so hard to keep the kids in a safe “bubble” that we lose out on moments that can just “be.” It’s clearly a hard balance for me.